The IDX P-V2 is a battery mounting plate adapter for the IDX Endura system batteries. The P-V2 easily converts any professional camera to a V-Mount. A two-Pin DC-out connector allows an on-camera light to receive power from the on camera battery. The P-V2 includes a 2-Pin D-Tap connector for powering on-camera lights. Allows the remaining battery capacity percentage to be displayed in the viewfinder of cameras designed to support battery data. Box Dimensions (LxWxH) 6.0 x 5.0 x 2.0"
P-V2 V-Mount Camera Plate is rated 4.7 out of 5 by 6. Rated 4 out of 5 by monkeypics from well made IDX camera plate! I bought four of these camera plates to mount the IDX Cam Wevi RX units with a 5/8 mount and have found they are sturdy, reliable and affordable compared to other brands on the market. Rated 4 out of 5 by Blackwood Bert from Sleek Design, Great Value Great sleek design and truly worth it's cost. Priced a slightly lower than comparable V-Mount plates, it performs as it should. All mechanical components of the assembly work great. No worries, no problems. Only downside is I had to rush to find hardware to mount it, as it is not included. Rated 5 out of 5 by Anonymous from Great plate for my Glidecam I use this plate on the base of my Glidecam X-10 rig to power my monitor/recorder. It was robust and easy to attach and works great during a shoot. Easy to change batteries without any fuss. Rated 5 out of 5 by KP at Rockhouse Studio from Did the Deal! I replaced the Sony type mount on a Marshall HD 7 monitor with this mount. The screw holes lined up perfectly. Some minor soldering and I was up and running. Will this plate work/fit with the Blackmagic Ursa camera? We see no restriction as to working with the Blackmagic URSA camera. V mount and Gold mount plates are pretty much standardized. Would the screw holes on the back of this suit attaching a Sony RM-B170 unit? It looks like it will, but I can't find a spec sheet detailing the dimensions of the screws. does this work with Canon 6D? 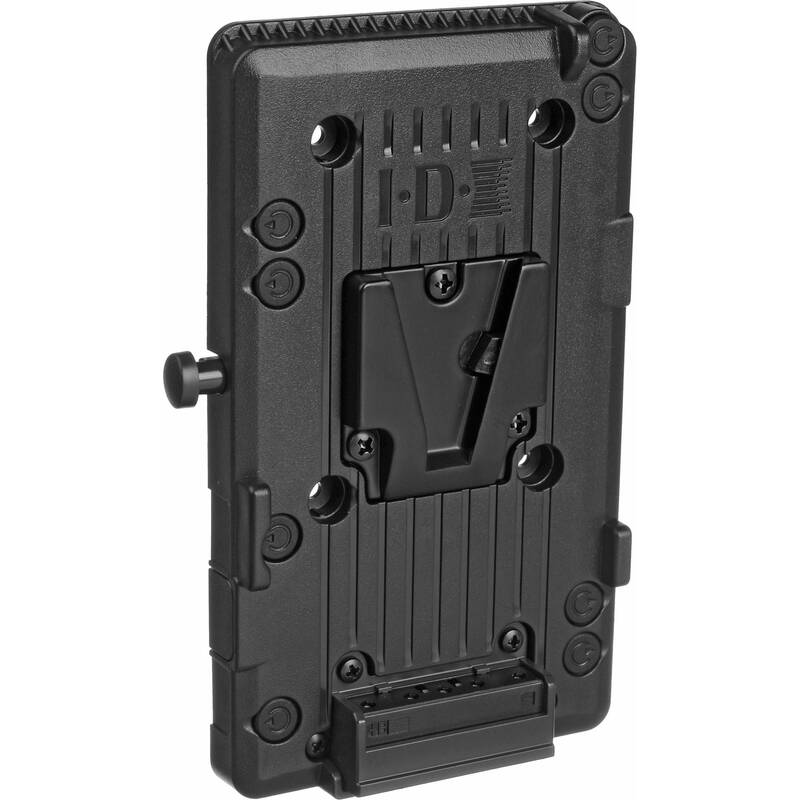 Yes, with a V mount battery, this IDX System Technology P-V2 V-Mount Camera Plate can power a Canon 6D. What you need is a D-Tap to Canon LP-E6 dummy battery cable. Here are two suggestions, one good quality, one even better quality. IndiPRO Tools Power Converter D-Tap to Canon LP-E6 Dummy Battery (30 ) for SmallHD Monitors B&amp;H # INSHPTE6. Zacuto LP-E6 to D-Tap Power Cable B&amp;H # ZAPTZACE6. Sorry, I don't know what is Ursa Mini. I just use of power supply for other party. Answered by: KIM MAN L.
Does this plate come with the appropriate molex adapter for the Blackmagic URSA? Answered by: KIN MING (ERIC) L.